WOODLAND HILLS, Calif. – April 24, 2014 – Northrop Grumman Corporation (NYSE:NOC) has been awarded a low-rate initial production contract from the U.S. Navy to deliver FlightPro ™ Gen III mission computers in support of AH-1Z and UH-1Y Marine Corps helicopters. Under the $10.6 million contract, Northrop Grumman will provide mission computers for H-1 helicopter flight tests, system integration laboratories and training. 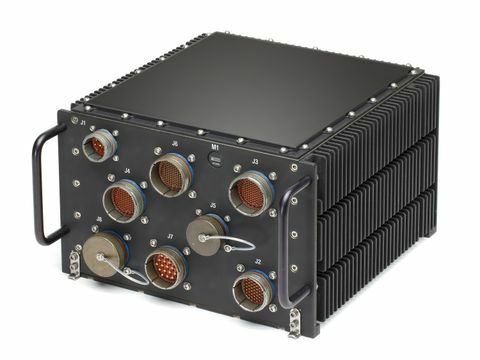 The lightweight FlightPro ™ mission computer is renowned for integrating advanced mission, weapons and video processing capabilities into a conduction-cooled, high-performance airborne computer. The latest model, FlightPro ™ Gen III, features the newest computing technology in multiple partitioned, 8-core PowerPC ™ -based processors. The new mission computer offers increased computing resources and an extended lifetime due to long-term product support from suppliers. Northrop Grumman's FlightPro ™ mission computer has proven its high performance and adaptability on U.S. Marine Corps and Army platforms. The Marine Corps is using FlightPro ™ Gen II mission computers on the UH‑1Y Venom and AH‑1Z Viper platforms and plans to incorporate Gen III computers in future aircraft. Additionally, the FlightPro ™ Gen III mission computer is the foundation of Northrop Grumman's proposed digital cockpit upgrade for the Army's H-60L Black Hawk program. "Our enhanced FlightPro ™ Gen III mission computer is the most capable general purpose mission computer on the market, offering unmatched performance, affordability and flexibility," said Ike Song, vice president, Situational Awareness Systems business unit, Northrop Grumman. "The computer's fast, efficient processing will improve situational awareness and lighten warfighters' workloads, in addition to allowing rapid insertion of emerging capabilities." The fully qualified mission computer is easily configurable for different system requirements by leveraging commercial off-the-shelf technology, model-based software design and an open systems architecture. The computer can provide a partitioned computing environment to customers around the world and is compatible with rotary- and fixed-wing aircraft as well as unmanned aerial systems.